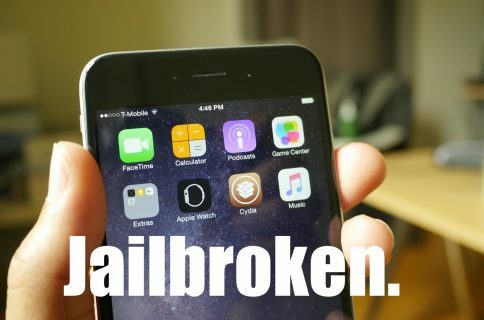 Although the iOS 8.3/iOS 8.4 jailbreak was a surprise, it was no surprise that the release was limited to Windows only. While this can make some Mac users feel bitter, it’s actually not a very big deal at all. 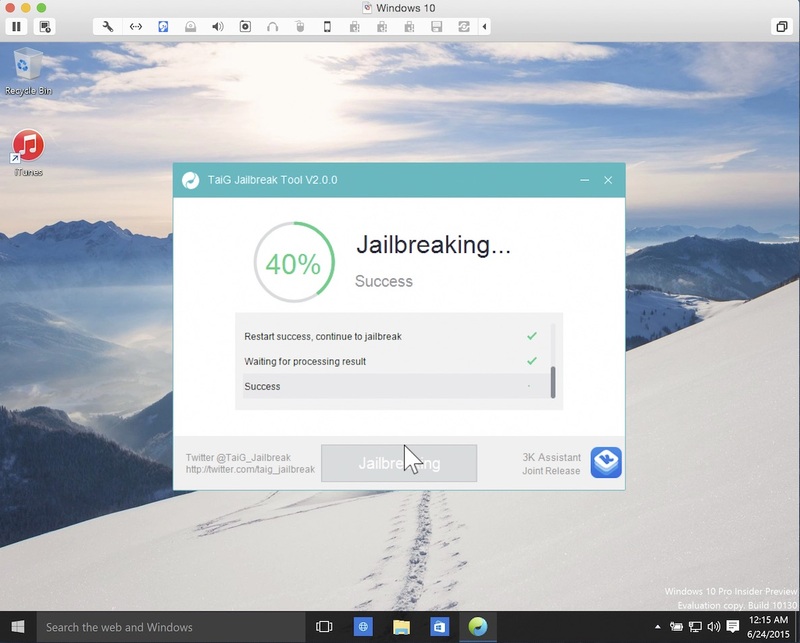 Thanks to the awesome virtual machine software that we have on the Mac, it’s super-easy to jailbreak an iPhone on our Macs, even if said jailbreak is Windows only. In this complete tutorial, I’ll walk you through the entire process of setting up the virtual machine, installing a valid version of iTunes, and jailbreaking your iPhone. The most impressive thing about this tutorial is that it can all be done in less than 18 minutes (not including the necessary file downloads), and it’s 100% free to do. If you’re a Mac-only user, there really is no excuse for you not to be jailbroken if you want to be. This method is tried and true, super-reliable, and it just works. In fact, by sticking to this method and following my video, you’ll likely be able to avoid many of the pitfalls plaguing those who are experiencing issues with the TaiG tool. You’ll need to download the following four files to get started. Be sure to download these exact files and save all four of them to your desktop. I’m using 32-bit Windows 10, because 64-bit can cause issues with recognizing drivers. Just trust me on this. Note: Watch our video tutorial. Outside of the file downloads, this is a full 1:1 step-by-step tutorial. This video walks you through the entire process from start to finish, and no speed increases were used. What you see is what you get. I do recommend that you start with a freshly restored installation of iOS 8.3/iOS 8.4, but it’s not mandatory. What is mandatory, however, is that Find My iPhone is disabled, and your passcode is disabled. 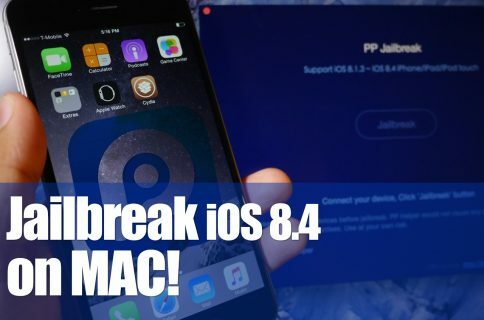 So that’s how you can easily jailbreak iOS 8.3 or iOS 8.4 on your Mac. Not only is it possible to jailbreak iOS 8.3 or 8.4 on the Mac, but it’s fast, easy, and largely free of issues. 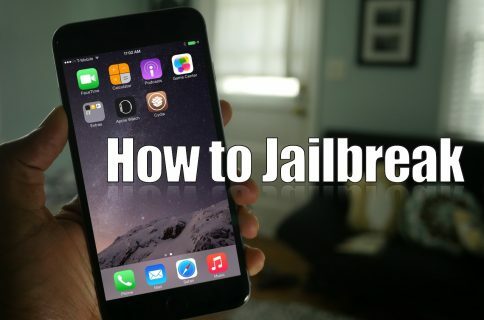 Even if you already have a Mac, by following these steps, you should have a jailbreak that works every time and that is devoid of issues.